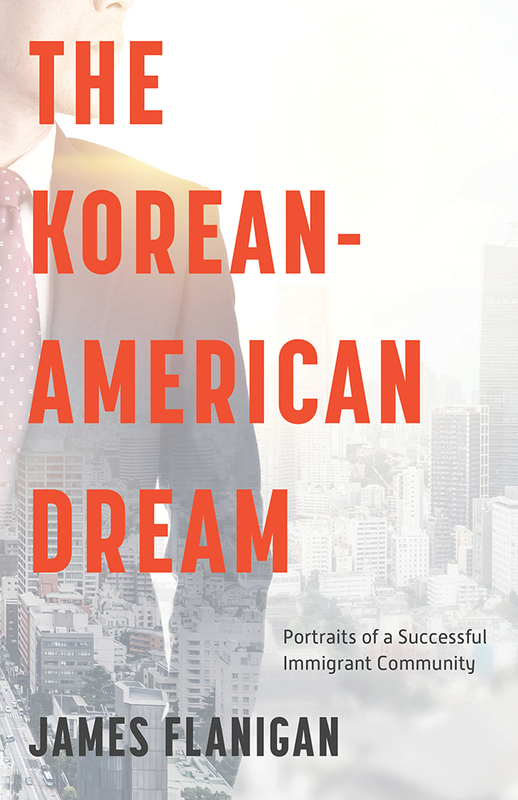 In The Korean-American Dream, respected and distinguished business journalist James Flanigan uncovers the struggles and contributions of the people who have made Los Angeles the largest Korean city outside of Seoul. This intimate account illustrates how Korean immigrants have preserved their culture and history as well as adapted to the American culture of E Pluribus Unum, the radical promise of “out of many, one.” Flanigan shows how Los Angeles emerged as a capital of the Asia Pacific region. At less than 2 million, Korean Americans are a relatively small group compared to new Americans from China, the Philippines, and India. But with energy and drive, they are building landmarks in New York as well as L.A., lobbying for causes in Washington, founding businesses, heading universities and hospitals, and holding public office in all parts of the U.S.
Flanigan’s compelling narrative told largely through personal interviews provides a front-row seat to the economic, business, and cultural developments of the Korean American Community. At a time of spirited debate about immigration, their energy and ambition serve as a ringing reminder of the promise of the American mosaic. James Flanigan, a business columnist for more than 50 years, has covered national and international business and economics for the Los Angeles Times, New York Times, and other publications. Over nearly two decades with Forbes Magazine, he served as bureau chief in Washington, Los Angeles, London, and Houston, before becoming assistant managing editor in New York. His work has won numerous awards, including the Gerald Loeb Lifetime Achievement Award for Distinguished Business and Financial Journalism and the John Hancock Award for Excellence in Business Journalism. He currently lives in Southern California.